If cannabis is legal, then why isn’t prohibition over? Prohibition is not over! It may seem so for those states that have legalized cannabis for recreation and medical use. Yet even in Washington and Colorado, people are still going to jail despite state laws. 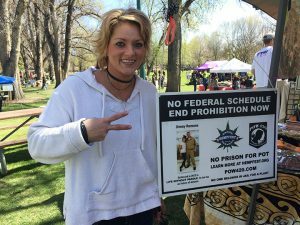 People are celebrating and at the same time, people in other states are fighting to stay out of prison. Hey, how about the federal government, and how it arrests those citizens who are following state law? The differences between state and federal laws are bewildering. State laws can give a false sense of security, since the federal government continues to raid medical cannabis dispensaries and the homes of patients who are following state law. When defendants dare to take their case to trial, the federal government throws out our state laws and all other defenses that would tell the jury that they are following state law. They can’t refer to a medical defense at all. Federal law still says marijuana is a Schedule I narcotic, like heroin. We know of at least 50 prisoners who are serving de facto life sentences—life sentences without the possibility of parole. We also know that 3.6 million people are daily marijuana users in the United States, and 750,000 of them are being arrested every year. Trials—Many of our plant prisoners have fought for their freedom in trial. Taking their case to trial means they did not “snitch” —that is, give the government information about someone else in order to stay out of jail on someone, or take the deals the government has offered. They truly believe they are not-guilty and want their chance to fight for their rights. Despite a defendant’s rights, the jury usually only hears the government’s side of the story—all the jury gets to hear is evidence that the defendant broke federal law. When the jury hears the defendants’ side of the story, its members don’t get to know that they followed state law. Since the Federal Government does not recognize medical cannabis it is not allowed to be brought up as a defense. The fact that the defendant was following state medical cannabis laws is completely ignored. This vicious cycle causes unfair and lengthy sentences for our caregivers and patients. When our prisoners and defendants go to trial and lose, the judge is forced to give them to mandatory minimum sentences. This means they will receive a very long sentence. It almost seems like a punishment for not pleading guilty. In the past, courtrooms have been empty, giving jurors a chance to follow what the government tells them. 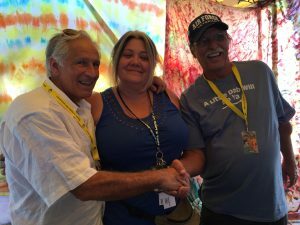 The Human Solution, a nonprofit support group that helps nonviolent cannabis defendants and POWs and provides community education about cannabis and hemp, believes in court support. If we could fill courtrooms across the country, that would give the jury the sense that something is not right. Jury Nullification—Jury nullification occurs when a jury refuses to convict a defendant who has technically broken the law. When jurors believe the law is unjust or unjustly applied, they can conscientiously acquit simply by voting Not Guilty. It is a right all jurors have, but one that judges and prosecutors do not want them to know about. Courts have held that not only are judges not responsible for informing jurors of this right, but they may misinform them outright by telling them they “must” convict if they believe the law has been broken. We must educate jurors before they get into the courtroom, and remind them that they are not required to leave their conscience at the door. Sometimes it is the last hope for our plant prisoners. Our job as jurors is not only to judge whether the law has been broken, but to judge the fairness of the law itself and its application in a particular case. Alcohol prohibition in the 1930s lasted only 13 years because jurors refused to convict their neighbors for victimless offenses. Courts were overloaded, and juries refused to convict in as many as 60 percent of these cases. It became futile and embarrassing for prosecutors to pursue these cases. Likewise, marijuana prohibition will be over when the government can’t rely on juries to keep delivering convictions. If we educate others about jury nullification rights so everyone knows, prohibition could end immediately. Prison—Right now, The Human Solution knows of about 150 people serving long sentences for cannabis. Our prisons are not equipped to take care of our sick and elderly. We have many prisoners suffering right now, like Jerry Duval (who is very sick and followed the laws in Michigan). The guards put our non-violent plant prisoners in shackles and handcuff them on a regular basis with murderers and thieves. They live in tiny cells, and if they get put on lock-down (like Luke Scarmazzo, a caregiver serving 22 years), they take their phone privileges, visiting, email, and force them to live in the “hole” alone for a few months. Once they reach prison, their rights are completely gone, they cannot fight for the degrading and unfair conditions in which they are forced to live, or they risk solitary confinement. They are treated as slaves and forced to work for under 25 cents per hour. Many of our plant prisoners are living in dangerous prisons with murderers and forced to defend their lives at all times. Most of our prisoners have been forgotten. 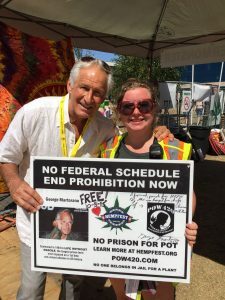 Life in prison—In 1970, the government passed the Controlled Substances Act, identifying marijuana as a Schedule I drug (like heroin), causing people who possess, sell, or cultivate marijuana to have to serve life sentences in prison. At least 50 of our plant prisoners (possibly more) are spending the rest of their lives in prison, due to mandatory minimum laws. Most of them took their case to trial and lost. If you do not make a deal with the government, and you go to trial to fight for your rights, and you lose, then the judge is forced to sentence you to the mandatory minimum. 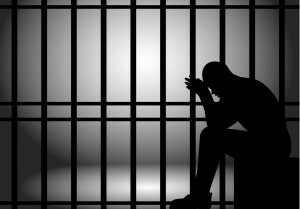 This means some people are serving life in prison without the possibility of parole and de facto sentences, meaning their sentence is longer than their lifespan. Some of our plant prisoners have been there since the ‘70s, and will never get out to visit their families, or will never know what freedom feels like again. If prohibition does not end, they will suffer a lonely, probably painful death in prison. What can you do? 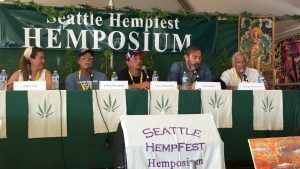 – Join the Seattle Hempfest Human Solution Chapter. We’ve adopted two men doing Life Without Parole for cannabis. One, George Martorano is now out! The other, Jimmy Romans, has had his sentenced reduced to 30 years. Help us lead information campaigns about them and others doing time for cannabis. You can read about the two men we’ve adopted below. 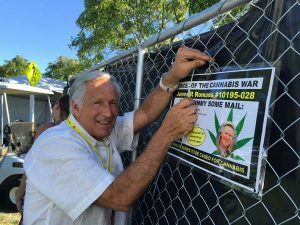 You can also learn about some of the casualties of the war on cannabis user. Email us at [email protected] if you are interested in joining our team and helping those doing Life for cannabis.